A spectre is haunting Europe. It is the spectre of racism, xenophobia, and in some countries, outright Nazism. For Golden Dawn in Greece and the Jobbik Party in Hungary, there is little attempt to hide the associations with 1930s German National Socialism. These include overt anti-semitism, paramilitary marches, and the encouragement of violence against asylum seekers, immigrants and left-wing activists. At the time of writing, a member of Golden Dawn is being held in custody for the murder in September 2013 of Pavlos Fyssas, a rap singer and well-known anti-fascist activist in Greece. Elsewhere in Europe, racism wears a more respectable face. Parties such as the UK Independence Party in Britain or the various People’s Parties in Scandinavia have gained a degree of electoral support by playing on popular fears about waves of immigrants from Eastern Europe coming to the West solely in order to live off the benefits system. It is a rhetoric which, shamefully, is increasingly echoed by the leaders of mainstream political parties, both Conservative and social democratic. In reality of course, the vast majority of immigrants are young, hard-working, ambitious, make less use of health services than the rest of the population and do the jobs that the local population refuse to do. The residential social care sector in Britain, for example, would collapse without the labour of people from the Philippines, South Africa and Poland. But that truth is lost in the deluge of anti-Roma, anti-Muslim and anti-asylum seeker propaganda pumped out on a daily basis by the tabloid press. In early October 2013, the bitter fruits of that propaganda, and of the increasingly restrictive immigration policies adopted by governments across Europe, were only too graphically demonstrated. Then, some 274 refugees from Eritrea and Somalia drowned when their overcrowded boat sank off the Italian island of Lampedusa. These were ordinary men, women and children fleeing war, torture and hunger in search of a better life for themselves and their families. But as a letter in the Guardian newspaper in the UK pointed out, responsibility for their deaths lies not just with the people smugglers but also with the exclusionary policies of Fortress Europe: ‘People-smuggling is the symptom and not the cause of migration. Tougher border controls, higher fences and more expensive surveillance systems won’t deal with the causes either. They will make things worse by driving more people into the perilous embrace of the smugglers. The causes of migration are overwhelmingly poverty, inequality and conflict’. The main challenge to racism and fascism has come, and will continue to come, from parties of the Left, social movements and trade unions. In Greece, for example, following the murder of Pavlos, some ten thousand people demonstrated against Golden Dawn in the streets of Athens. In Britain, the anti-Muslim English Defence League is currently in crisis following the resignation of its two founders, a crisis provoked in large part by the fact that every time its supporters appeared on the streets they were physically challenged by much larger anti-fascist protests. As individuals, social workers from Glasgow to Athens and all points between have participated in many of these demonstrations. But we also need to explore the implications of the growth of these new forms of racism for our social work practice. And here, it is important to learn the lessons of the past, both negative and positive. Sticking to their professional task with the air of value neutrality and scientific detachment (especially after the ‘non-conforming’, ‘politically active’ social workers had been sacked or imprisoned) they did not feel responsible for the consequences of their assessments and may indeed not have been conscious of the full implications their work had in the national context (pp 34-35). The evil of a fascist approach to welfare had not emanated primarily from its collectivism and from the imposition of ideologically determined forms of practice (which social workers usually knew how to get round) but rather from the disjuncture of the political and professional discourse that prevented the ‘ordinary welfare workers’ from fully facing up to the consequences of their actions (p35). If there is a lesson for today, it is surely that social work cannot respond to the growing tide of racism and xenophobia by hiding behind a mask of ‘professionalism’ which seeks to deny the political nature of our profession or pretend that somehow we are above the struggle. A very different response to racism developed in the late 1980s. In that period, social workers and social work academics in the UK and elsewhere sought to develop forms of anti-racist theory and practice which challenged the ways in which racism shaped the mind-set of many white social workers on the one hand and blighted the lives of black and minority ethnic clients and communities on the other. The limitations of these approaches, above all their focus on personal racism at the expense of State and institutional racism, have been well-documented. Nevertheless, they were important in putting issues of racism and anti-racism on the social work education agenda in a way they had not been previously. Recent publications have sought to develop new forms of social work theory and practice that can challenge the forms of racism that have emerged over the past decade and can defend multiculturalism (Lavalette and Penketh, 2013; see also Mahamdallie, 2011; Richardson, 2013). This is a very positive development. 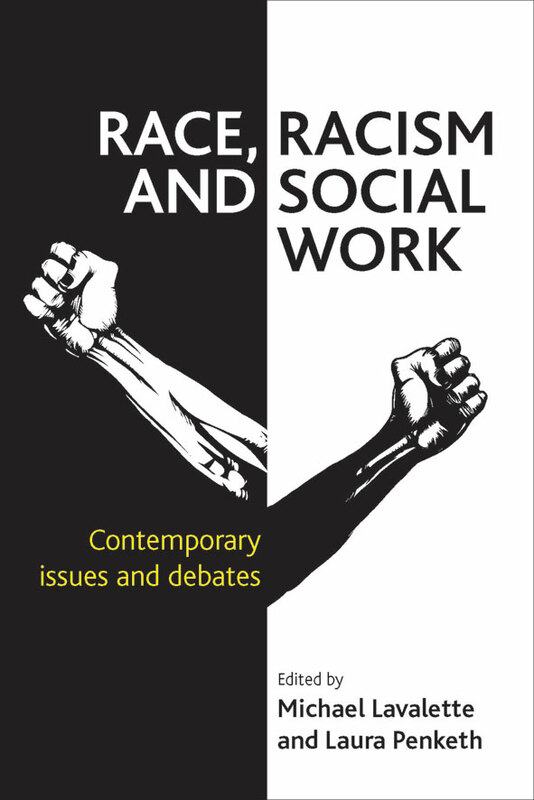 Critical and Radical Social Work welcomes papers on all aspects of racism and anti-racism in social work. These can include both analyses of current developments and also historical pieces which critically evaluate the role of mainstream social work in oppressive and racist regimes such as Nazi Germany or apartheid South Africa as well as those highlighting examples of social work resistance which have until now been’ hidden from history’. Race, racism and social work, edited by Michael Lavalette and Laura Penketh, is available to buy with 20% discount from www.policypress.co.uk.